Honesty was developed in a team of 7 people, during an international serious-game project in Carlow (Ireland). The game ended up more as an entertainment game than a serious game but resulted in a very fun experience. I took the role as a programmer but also Scrum Master on me, taking the lead on the development. It’s a fast-paced multiplayer game, with 3+ players trying to work together as the “ramp crew” on a flight base. Airplanes come in and have to be fueled and charged before they can depart again. 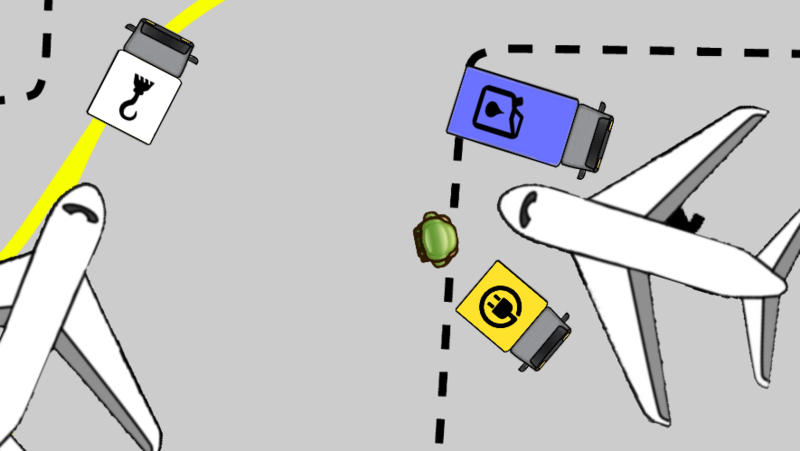 The whole point of the game is to avoid incoming airplanes from crashing into each other, requiring all the players (each playing on an Android device) to communicate with one another to function properly as a crew. The development on the game was quite a challenge, creating a multiplayer game in only four actual development days is not something I recommend doing after this project because we had to rush everything. Although accomplishing it felt really rewarding! I took the major part of the multiplayer programming, which was my contribution to the project. We used uLink as networking library because Unity’s own multiplayer support is rather limited.